I am back with a new Thumbs nails of the week. 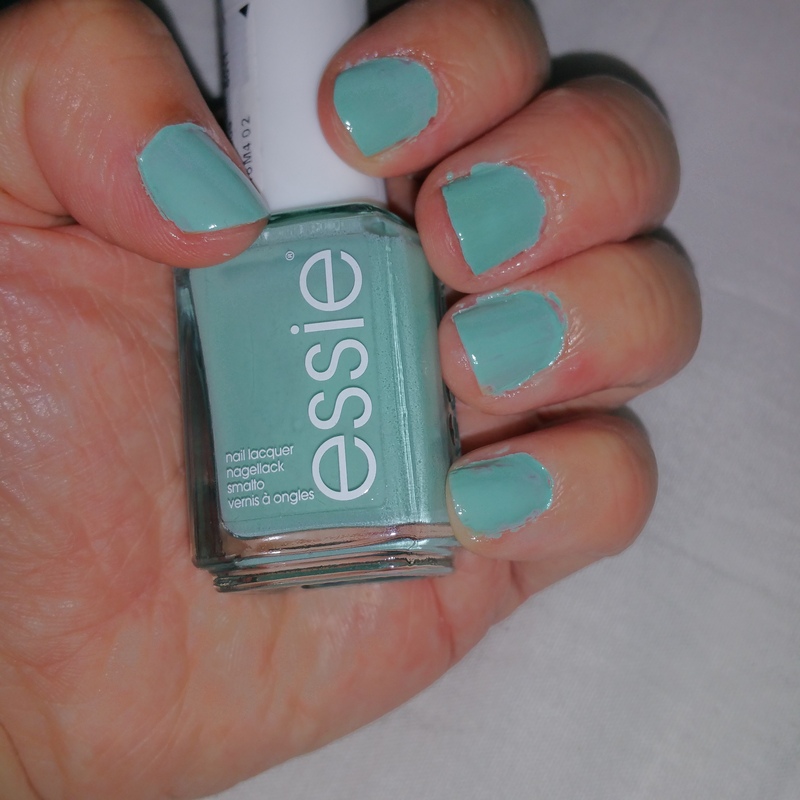 Today I am sporting Essies Mint candy Apple. A lovely minty colour, perfect for summer. I can understand why this polish is a cult favourite among bloggers. It is such a perfect colour for spring and summer.When I look at my nails they look so happy cheerful. I know that sounds stupid but it makes you feel happy when its raining and storming in summer! I used two coats to make this colour pop and sealed it in with a topcoat, to make it extra shiny. For last weeks Thumbs nails click here. Once again thank you for reading this post and hope to see you back for next weeks Thumbs nails. Have a good week folks.